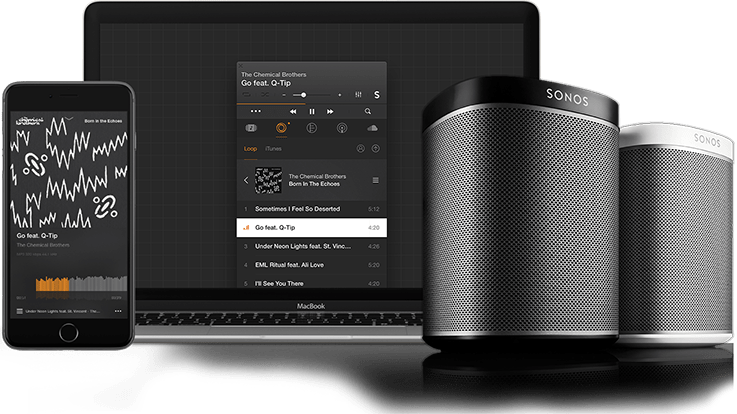 Play All Your Music from VOX Player for Mac & iPhone straight to SONOS Devices. Wireless connection to any SONOS Sound Devices via Wi-Fi established from players. You can stream music from any VOX sources (YouTube, SoundCloud, iTunes, Loop) or even stream your FLACs. Brilliant combo of VOX Sound Engine - BASS™ and SONOS Sound System. Sonos is the wireless Home Sound System that fills as many rooms as you want with great-sounding music. Stream via WiFi. Play whatever you’re craving. And amp up every moment with intense, pulse-pounding sound.